Spring in New York City is one thing I haven’t been lucky enough to experience, but oh… how I’ve daydreamed! It seems the city is able to draw something magical out of each and every season of the year. From skating in Rockefeller Center during Christmas, to lining the streets for the Macy’s parade on Thanksgiving, to watching the ball drop in Times square on New Years Eve, there’s no end to the newfound festivity found with each change of the month. While spring may not host a myriad of calendar holidays of it’s own, it’s a celebration in and of itself. Blossoming flowers, pleasant breezes, longer days… I find myself looking up flights for this weekend just thinking about it. And when I think about what springtime in New York is to me, in a nutshell? Window shopping in a sundress! There’d be no better way, in my opinion, to spend a picturesque spring day in the city than twirling down Madison Avenue, peeking in on the newly-revealed window displays, in a gorgeous, springy ensemble to match. The spring line from Kate Spade embodies the same effortless, beautiful breeziness that I find so enchanting about New York in the spring. 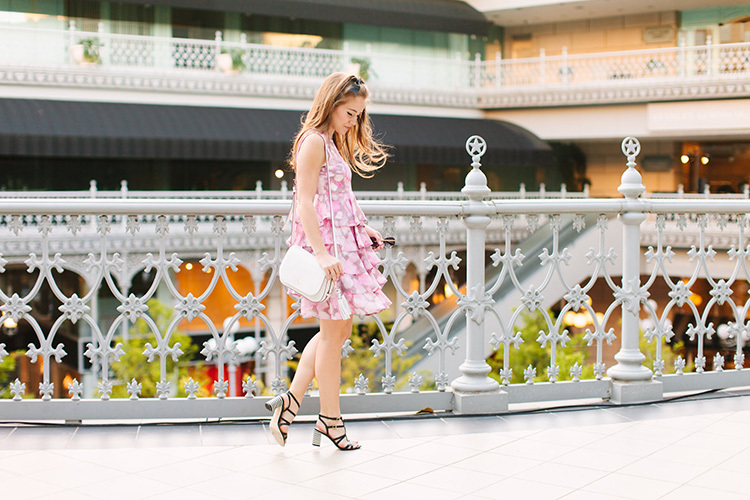 Flirty silhouettes, feminine palettes, fresh details… it’s as if all of my mental images surrounding the season have been translated into wearable pieces. There is no time like the present to get outside and enjoy the gorgeous weather brought about by spring! My advice? Even if you’re not in NYC, get all dolled up in your favorite sundress and take to the streets. Iced coffee in hand, you’ve set the stage for a magical spring afternoon of your own. Such a gorgeous dress and accurate description of spring! Love the layers on the dress! 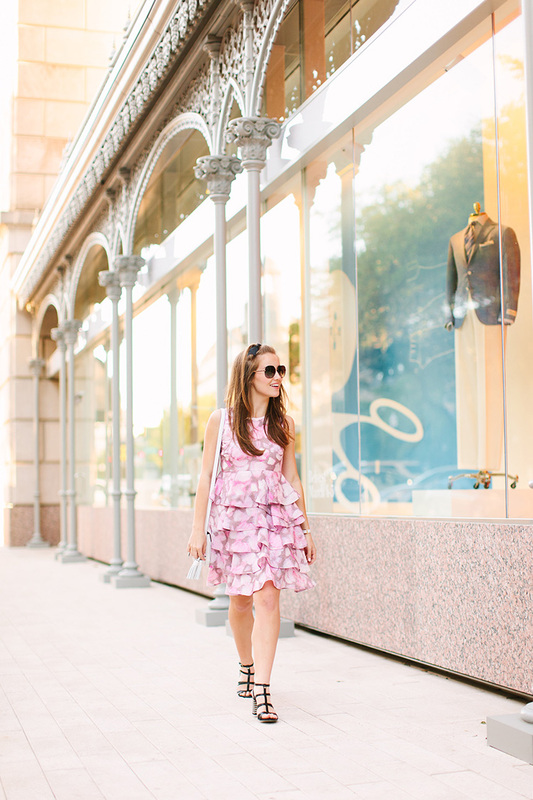 I’m obsessed with that spring dress! So cute. So stinkin fun! I’d never want to take this dress off! It would be so good for graduations or weddings this spring. 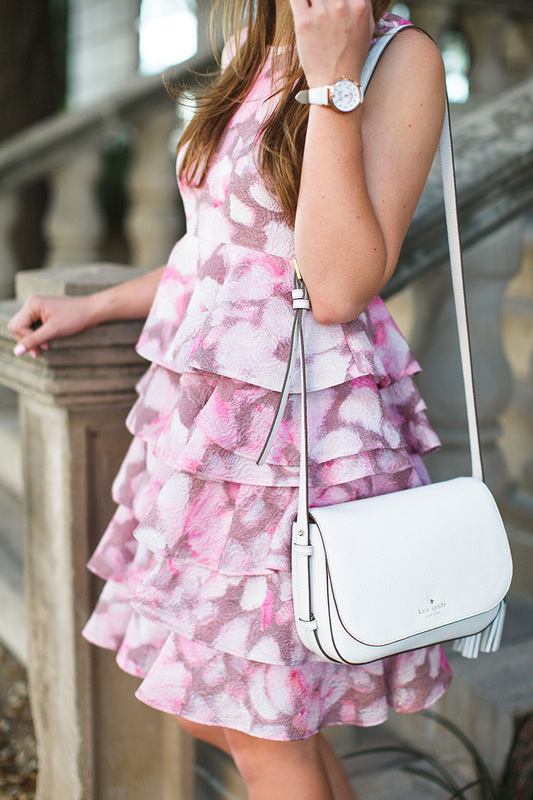 I also love the crisp white handbag and your cute bow! Such a fun and different hairstyle. 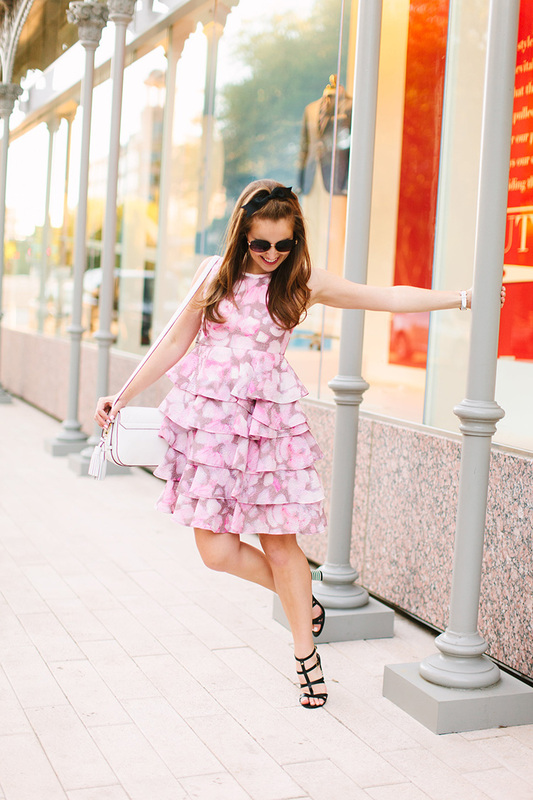 You look like a darling little Miss Blair Waldorf in this shoot! Love how you described your ideal New York day it sounds absolutely perfect, and the stripes on your heels add an extra bit of unexpected fun to your outfit. You are seriously the cutest ever! This dress could not have been styled more perfectly .. I love the small white cross-body and bow in hair .. Definitely giving me some inspiration! Your clothes are so cute! Will you do a closet tour/organization tips? Wait until the summer to come to New York, it snowed on Monday :( Love the outfit though!!! This dress is so cute! I was in NYC over the weekend and it was definitely magical! So pretty! It really is a very spring time look. 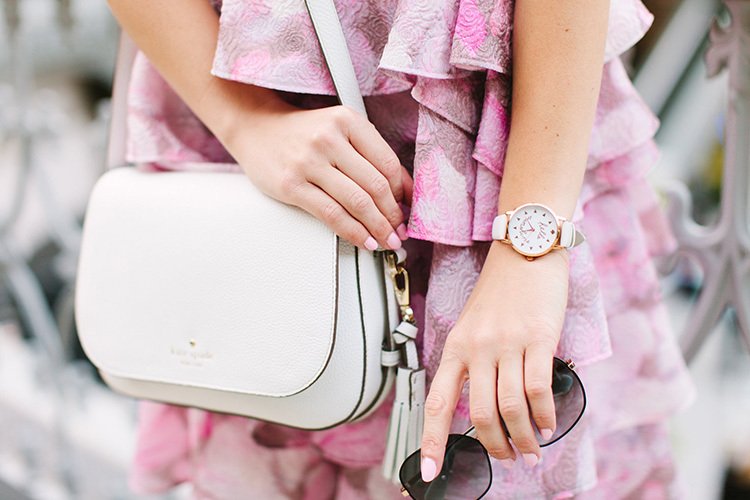 This look is perfect for a spring-time or summer-time wedding!